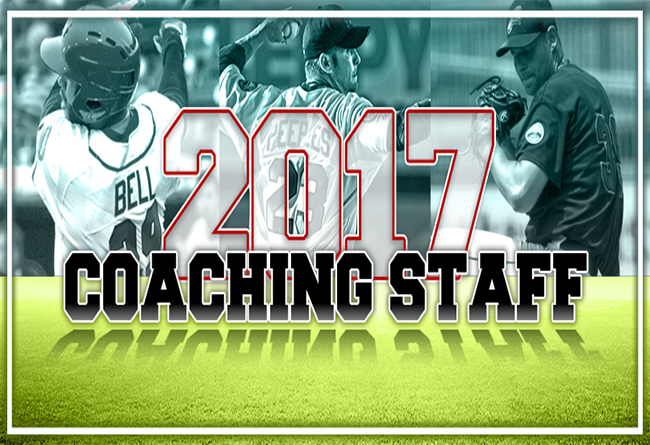 (Lancaster, Pa., Feb. 7, 2017) - The Lancaster Barnstormers have named long-time relief pitcher Scott Patterson and 2016 Atlantic League RBI leader Josh Bell as the coaching staff under new manager Ross Peeples for the 2017 season. Patterson, like Peeples, was a part of the team that joined the franchise at its very outset in 2005. In fact, it was the Pittsburgh-area native who threw the first pitch in the stadium opener on May 11, 2005 as he made the start against Atlantic City. By the end of that campaign, the 6’7” right-hander had reinvented himself as a closer and also threw the final pitch of 2005, nailing down a save against the Newark Bears. He returned to Lancaster in 2006, only to have his contract purchased by the New York Yankees in early June. Patterson, who had not pitched in a Major League organization before his arrival in Lancaster, would eventually become the first ex-Barnstormer to play in the Majors when he debuted for the Yankees on June 1, 2008. Patterson also pitched for San Diego later that season. The right-hander returned to Lancaster in 2010, his contract being purchased by Seattle later that season. He also came back to the Red Rose City late in the 2014 championship season and remained with the Barnstormers through 2015. Patterson, now 36, wrapped up his playing career with the New Britain Bees last season. Overall, he has appeared in 148 Atlantic League games, posting a 7-8 record and 36 saves. Bell, 30, won the Atlantic League RBI crown with 87 in 2016 to accompany a .296 batting average and 19 home runs. The switch hitting corner infielder played in the 2016 Atlantic League All-Star Game at Clipper Magazine Stadium. The Rockford, IL native was signed by the Los Angeles Dodgers in 2005 and made his big league debut with the Baltimore Orioles in 2010. Bell spent a portion of three seasons at the Major League level, two with the Orioles and one with the Arizona Diamonbacks, appearing in 100 total games. On August 21, 2010, he homered off Cliff Lee in consecutive innings, driving in five total runs in a game between the Orioles and Texas. “Both will bring something positive to the table,” Peeples continued. The Lancaster Barnstormers are entering their 13th season as a member of the Atlantic League of Professional Baseball. Home games are played at Clipper Magazine Stadium in downtown Lancaster, Pennsylvania. Please call 717.509.HITS (4487) or visit www.lancasterbarnstormers.com for more information.